A native of West Frankfort, Illinois, Bob G. Gower received his bachelor's and master's degrees from Southern Illinois University in 1958 and 1960, respectively, and his Ph.D. from the University of Minnesota in 1963. Dr. Gower's illustrious industrial career started at Sinclair Oil Corporation as a research scientist, moved through a number of sales, research, and engineering assignments with Sinclair and then with Atlantic Richfield after their merger in 1969. He became Vice President of ARCO Chemical Company in 1977 and Senior Vice President in 1979. In June 1984, he was elected Senior Vice President of Atlantic Richfield Company. 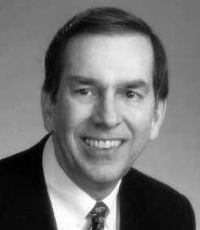 Dr. Gower became President of Lyondell Petrochemical Company when it was formed in April 1985, and was elected Chief Executive Officer in October 1988. He was elected Chairman of the board in August 1994. He is active in educational efforts in the Houston, Texas area, including serving as President of Communities in Schools Houston, a program designed to reduce the dropout rate in public schools. He was head of the 1991-1992 United Way campaign for Houston and the adjacent four-county area. He is a member of the Board of Directors of Baylor College of Medicine, Texas Commerce Bank, Keystone International, American Plastics Council and the Houston Business Council.